Most private sector workplaces are required to comply with OSHA’s federal workplace health and safety regulations. 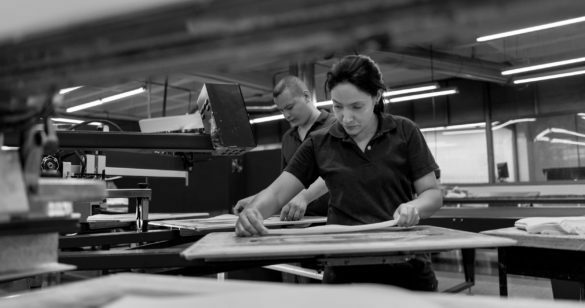 If you purchase your company’s required federal and state labor law posters from Poster Compliance Center, we guarantee you’ll be in compliance with OSHA poster requirements. Why do I need OSHA posters? In 1970, the Occupational Safety & Health Administration (OSHA) passed a law called the the Occupational Safety & Health (OSH) Act. If your company is covered by the OSH Act, you’re required to display the OSHA Job Safety and Health: It’s the Law posting in a conspicuous place. The posting is included in Poster Compliance Center’s Federal Labor Law Poster. 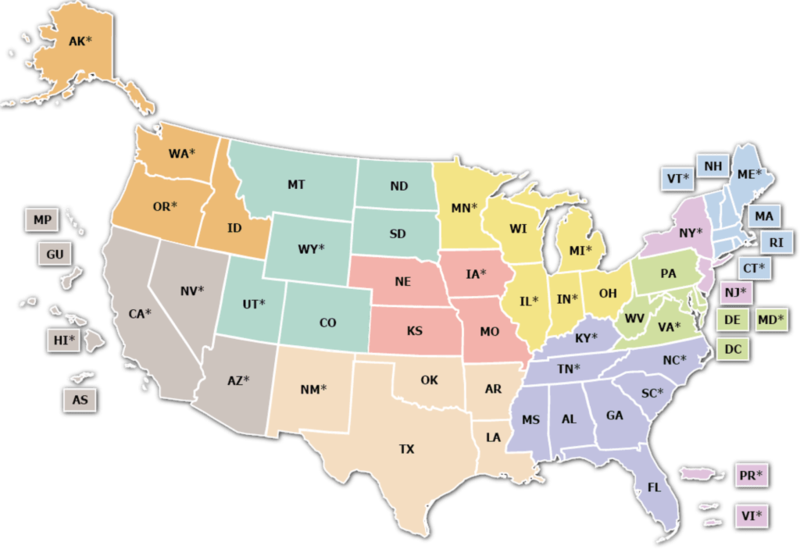 If you operate a business in a state or U.S. territory with its own OSHA-approved plan, your State Labor Law Poster from Poster Compliance Center will include the mandatory state OSHA posting information. The consequences of noncompliance with OSHA laws can include [substantial fines] and other penalties, but with our federal and state labor law posters, you can rest easy knowing you’re fully compliant. Employers must provide employees with properly maintained equipment and tools that are safe. Potential labor hazards should be identified and communicated to employees through the use of signs, posters, or labels. Working procedures should be clearly communicated with employees so that safety and health requirements are continuously abided by and monitored. Employers must provide employees with clear and effective safety training in a manner and language that is understood by all employees. OSHA training is available by request, as are resources for occupational safety. If hazardous materials are present in the workplace, a written and implemented program must be used to train employees on proper precautions and risks. Medical examinations must be administered to employees in relevant situations. All work-related fatalities, amputations, and hospitalizations must be reported to the employee’s nearest OSHA office by calling 1-800-321-6742. Fatalities that are related to work must be reported within 8 hours of the incidence and inpatient hospitalizations, amputations, and eye loss must be reported within 24 hours. Records must be kept of all work-related injuries, illnesses, and exposure to hazardous materials. Employers must provide their employees and former employees with access to these reports. Employers must provide OSHA compliance officers with authorized employee representatives. Representatives may be asked to accompany OSHA compliance officers during on-site inspections and off-site phone investigations. Employers must not discriminate against employees who exercise their rights under OSHA and who file complaints. Citations for unsafe working conditions must remain posted until the violation has been corrected, or for three working days (whichever time period is longer). Corrections for violations of OSHA must be posted at the place where the violation occurred, after it has been fixed. OSHA encourages all employers to adopt an injury and illness prevention program for their employees. Such programs are beneficial for both the safety and health of employees and reduction in costs to employers. Successful occupational safety programs include elements that promote leadership roles in management, employee participation in workplace activities, identification of hazardous situations and materials, incident prevention and control, workplace safety training, job safety education, and a system for evaluation and improvement of occupational safety programs. Most private sector employers and employees in the United States are covered under OSHA, as well as some public sector employers and employees. OSHA does not cover immediate family members of farm workers or self-employed workers. The health and safety conditions of some sectors of government are federally regulated by their own agencies. Individually regulated sectors include the Mine Safety and Health Administration, the Department of Energy, and the Coast Guard, amongst others. States can set their own health and safety guidelines, but they must at least be as effective as OSHA standards that the federal government has set. In fact, Section 18 of the OSH Act strongly supports states and territories that want to develop and operate their own occupational safety standards. States that have their own OSHA laws include Alaska, Arizona, California, Connecticut, Hawaii, Illinois, Indiana, Iowa, Kentucky, Maine, Maryland, Michigan, Minnesota, Nevada, New Jersey, New Mexico, New York, North Carolina, Oregon, Puerto Rico, South Carolina, Tennessee, U.S. Virgin Islands, Utah, Vermont, Virginia, Washington, and Wyoming. Questions? Call us at (800) 322-3636 to learn more about your state’s specific OSHA posting requirements and regulations. OSHA standards can seem overwhelming for employers, not to mention confusing due to different federal and state OSHA regulations. 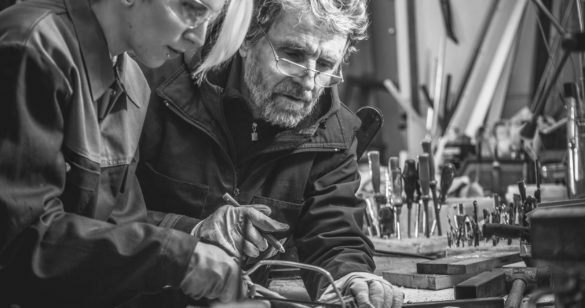 To make matters more complicated, federal and state labor laws change and employers need to remain compliant with the most recent regulations. An updated OSHA poster must be displayed in a visible space within a company where all employees have access to it. If you find yourself frustrated about keeping up with OSHA workplace posters, sign up for our OneSystem Plan. We’ll keep you in compliance with OSHA standards by sending you an OSHA labor law poster whenever there are mandatory changes. This automatic service will ensure that your business stays in compliance with state and federal labor law regulations year-round. We’re here to help. If you have any questions at all, contact a team member directly at (800) 322-3636.